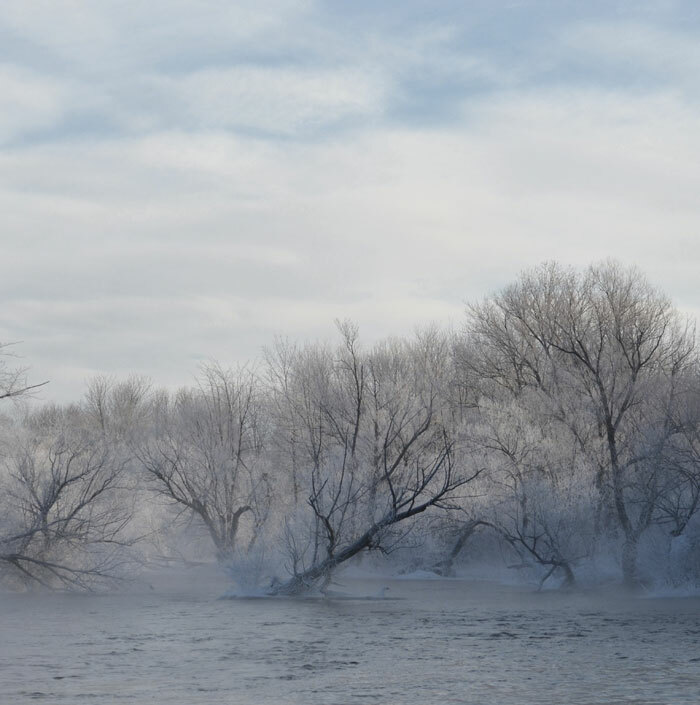 The ephemeral beauty of open water and very cold temperatures. 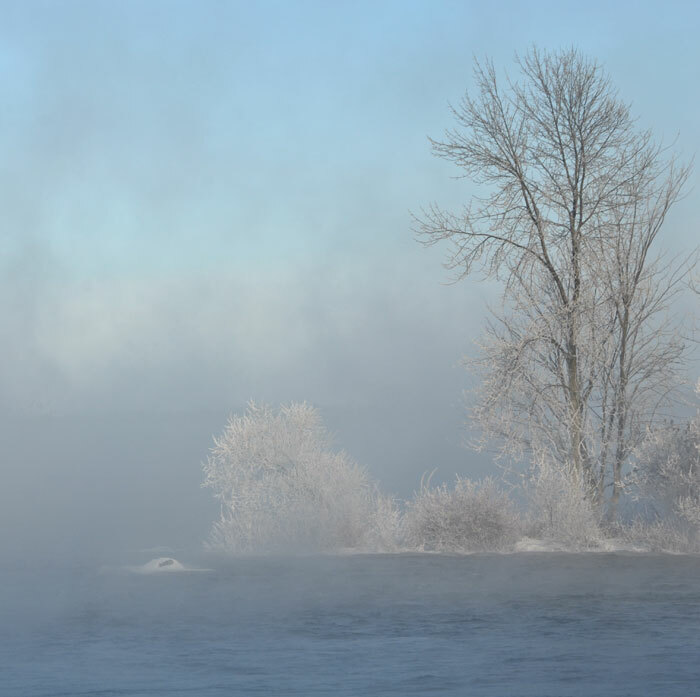 Water vapour rising and coating the nearby flora in thick frost. 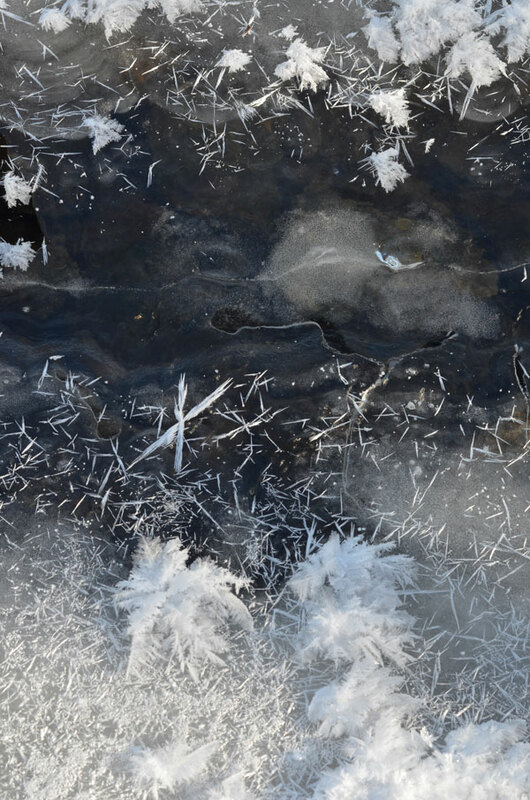 Even the ice, struggling to form at the fringes, finds the air so cold it has coaxed downy feathers to grow on its surface for keeping warm. Spectacular. You’re really on to something with these snowflakes and ice forms Karen, love them! 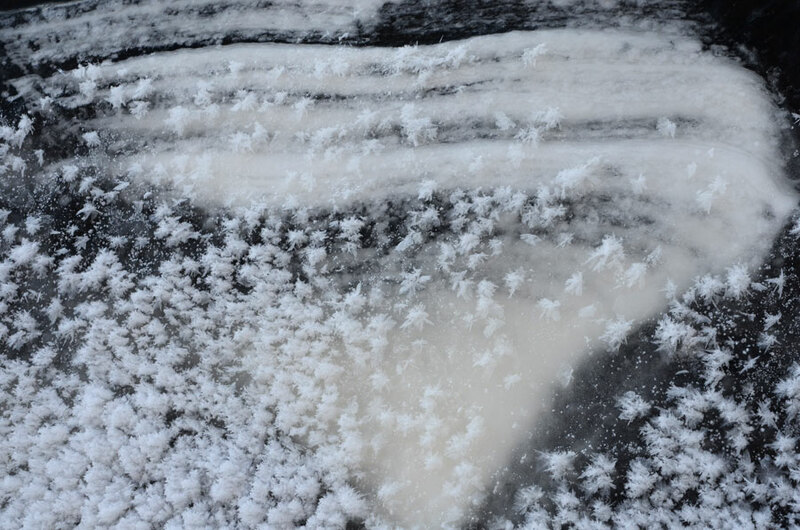 Thanks Cath, yes there has been some interesting research about frost flowers on sea ice (obviously the ones I photographed are on freshwater ice…). I’m glad you checked them out! This is a great series, Karen. I was immediately attracted by the first picture which seems to echo Caspar David Friedrich in quite a sophisticated way … Since I love abstract art, my real favourites (if I were to pick) would be the two last ones though. Hi Tobias, thank you for your thoughtful comments. Much appreciated! I like that idea. Ballet on ice! Thanks very much, Kathleen. I love those long winter shadows. Intriguing images. I followed you links to the explanation of what and how these forms exist but I still find it amazing how you are able to locate and photograph such ethereal things. Your images are easily identified by their other worldly softness and fragility. I always enjoy your posts and your writing. An absolutely stunning series Karen. Such beauty in these extremes. There really is beauty in the extremes. When it’s very cold I sort of itch to go out with my camera. You never know what you might find! Thank you, Adrian. M m m ! —– So, the scientists are after those phenomenon. Yes, I was very happy to find these. It was VERY cold when these formed and they don’t last too long – a day perhaps. The science regarding these is quite interesting. I especially like those last ones with the ice/snow. Really beautiful! 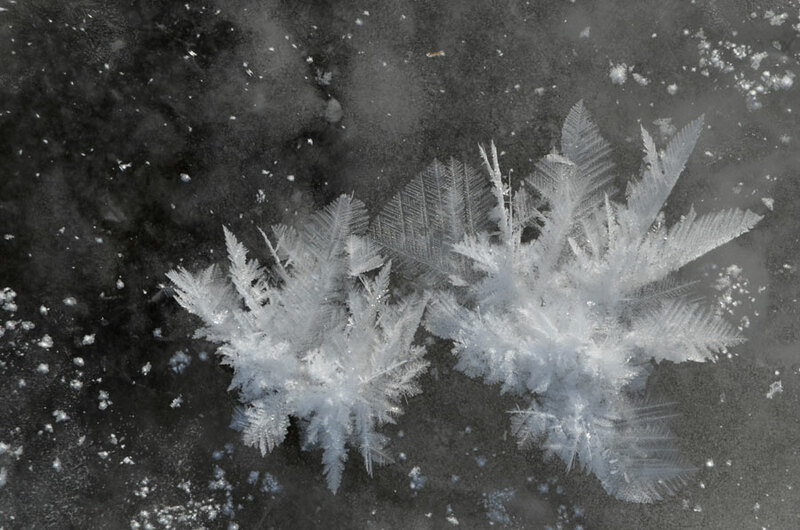 Those frost flowers and ice are pretty neat – I’m glad you liked them. Thank you, Trish! Icey cold…crystal clear..absolutely beautiful winter blue. Love it! Hi Marcie, thank you. A different world than the one you have been visiting! These are all beautiful, but number four looks like the end of the world. I love it. Now that you mention it, it does seem rather post apocalyptic. I’m loving numbers 3 and 5 esp. As always, super images, Karen! 🙂 Although, those snow feathers are stunning too! Most beautiful. Again, every image is mysterious and in some we are even challenged to ask what we are looking at. The first one looked like an explosion of ice. 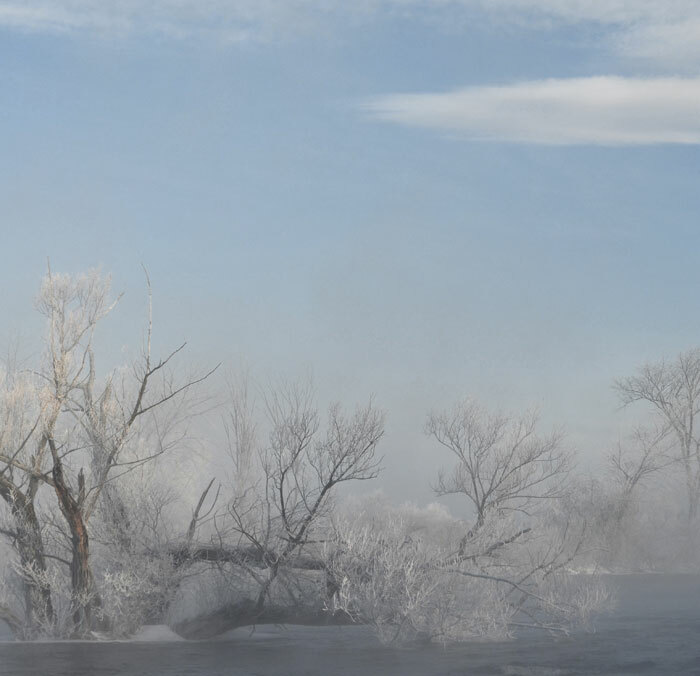 These are the striking images of COLD. Thanks so much. I’m glad you enjoyed them, Judy. Thanks for your thoughtful comments. Joining the chorus . . . awesome stuff. Thanks, Allen – I’m glad you think so. You should see how i dress when I’m out in the cold. It’s not the height of fashion, but it is warm! Thanks, Marina. Comfort over fashion; or is it form over function?? 🙂 As long as you’re warm and healthy! 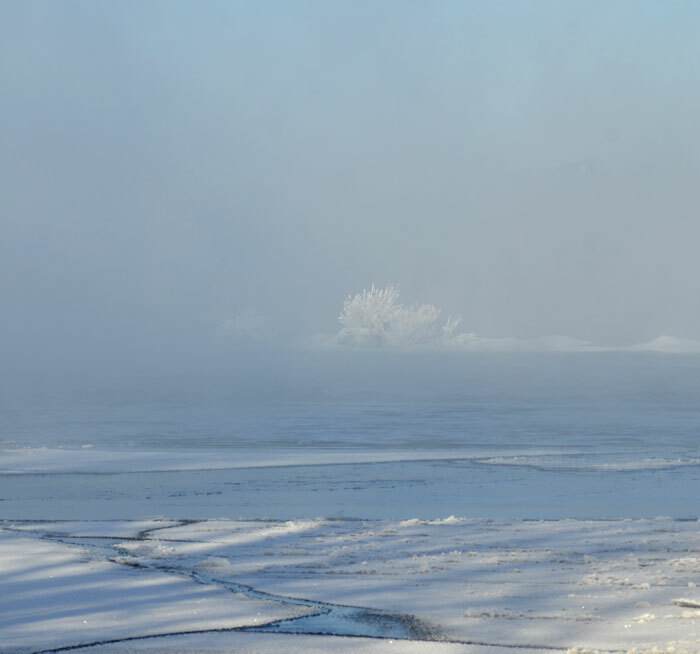 de la même manière, la lutte décrite entre glace et rivière est magnifique. Curieux je n’avais pas fait attention aux textes précédemment et me concentrais sur les images. Il y a une réelle poésie qui nous ouvre d’autres perceptions. Merci pour ces découvertes. Je vous remercie pour vos aimables commentaires. Je appreicate vos mots. Ice particles like nebulae in the dark void of outer space. Nothing to say. Just, very impressive! Phenomenal! So many worlds to explore or simply breathe in. Even the cloud looks like its composed of crystals. Exceptional, Karen. Thanks very much, Elena. The deep cold brings interesting things. Stunning series of images, Karen! Love how this series makes my thoughts wander, melancholic and dreamy. Every single image is truly wonderful to look at! Thank you very much. Those are kind words. Time, temperature, water…and an observant soul…wonderful…. Those frost flowers are beautiful! I think they are pretty cool, too. The extreme cold brings interesting things! I have a Louise Penny novel sitting on my table. Haven t read it yet, though! Brrrrrrrr! I had to put on my down jacket just from looking at these! Seriously, very beautiful, Karen. I love snow and ice on trees. A down jacket is perfect! It’s still very cold here. Thank you. Perhaps the finest of all your winter works of this year. 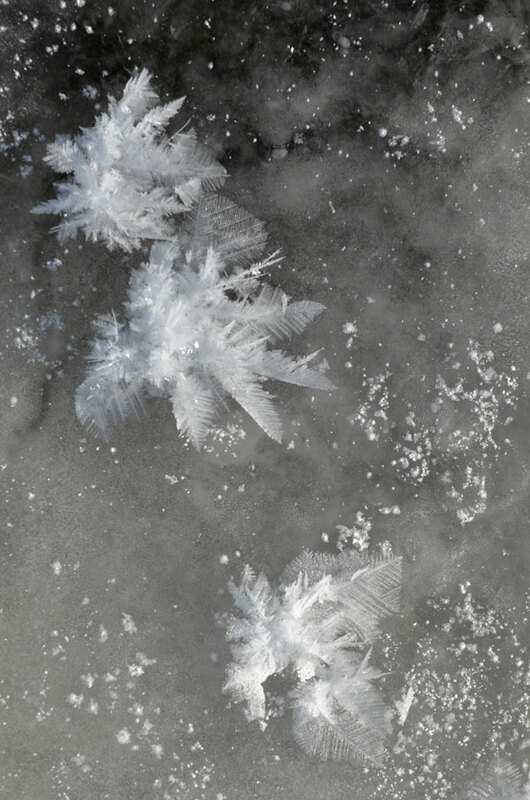 Some of those ice crystals appear to be taking the shape of wings. Makes me feel whimsical. I assume it must be your photographers eye but I sometimes wonder if you live in a land of magic. Thanks very much, Autty. A very lovely comment! I do love winter! I’m glad I can help other people appreciate it, too. Thank you! Really challenges the senses, Karen. Poetic and mysterious. And, gorgeous as always. 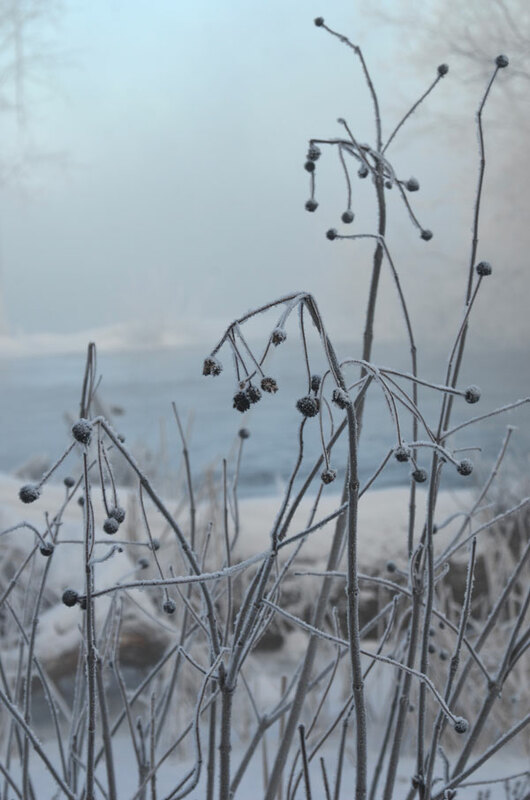 The frost flowers are stunningly beautiful and wonderful to see, Karen! I didn’t know that such ‘growth’ existed! beautiful images, particularly the last four! This is breathtakingly beautiful. Your photography is very inspiring to us. Have a great time. Thank you, Dina. That is very kind of you! It is a pleasure to be on this visual journey.